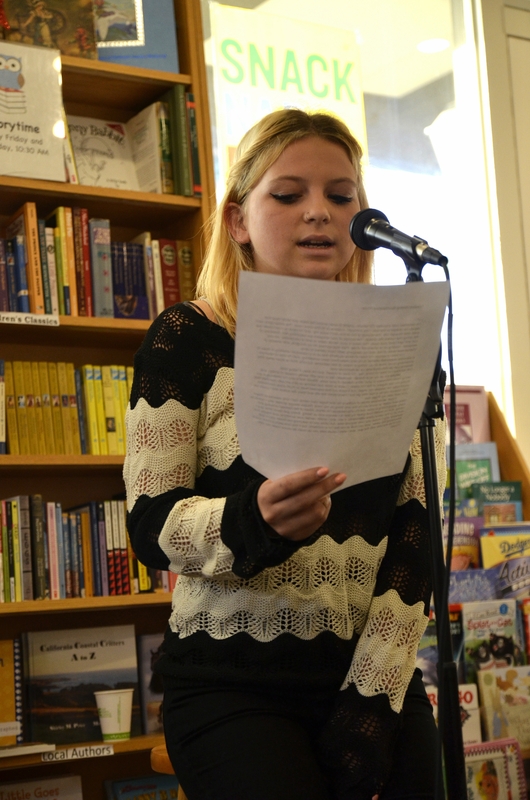 Malibu high school senior Ede Bellcrowder recites her poem during the Kids on Coffee event on Thursday, May 29, 2014 inside the Bank of Books bookstore in Malibu, Calif.
Members of a Malibu High School creative writing class recited their original poetry in front of friends, family and members of the community on Wednesday, May 28, and Thursday, May 29, for the Kids on Coffee event inside the Bank of Books bookstore in Malibu. Pamela Eilerson, manager of the bookstore, said it is important for teenagers to have an outlet for their feelings during their adolescence. 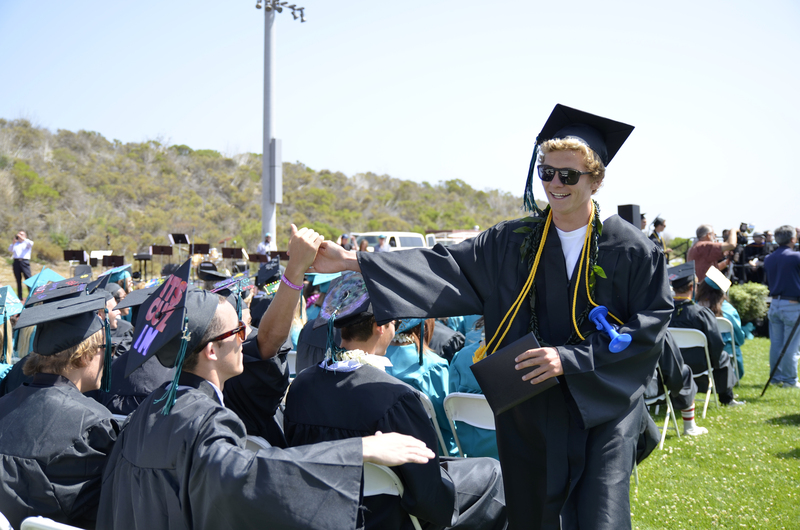 The two-night event included mostly seniors from the high school, who will graduate on Friday, June 6. Their poems centered on their perspectives on living in Los Angeles. Naomi Joshi, 17, said her poem about L.A. compared an outsider’s and insider’s view of the city. It was her first time reciting her original writing in front of an audience. 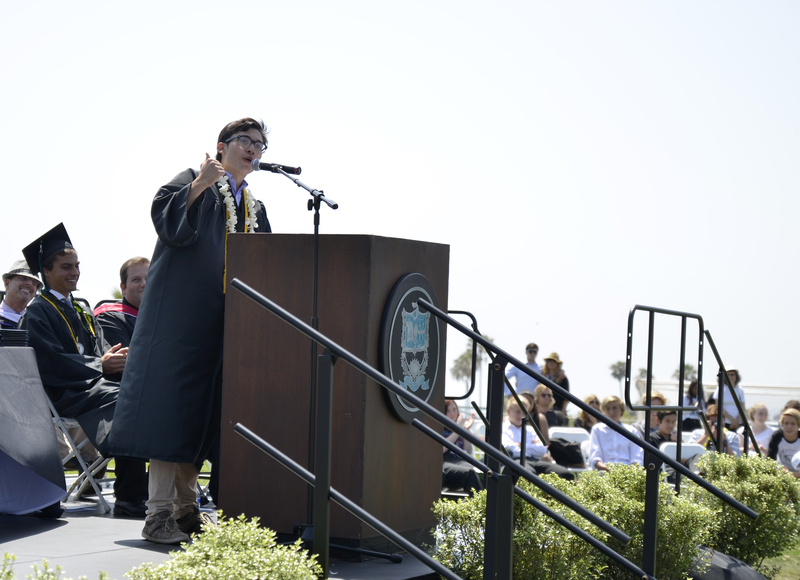 Ede Bellcrowder, who is also a senior, said her experience in theater helped with her nerves while reciting her poem, and said it was also her first time reading her work in front of others. 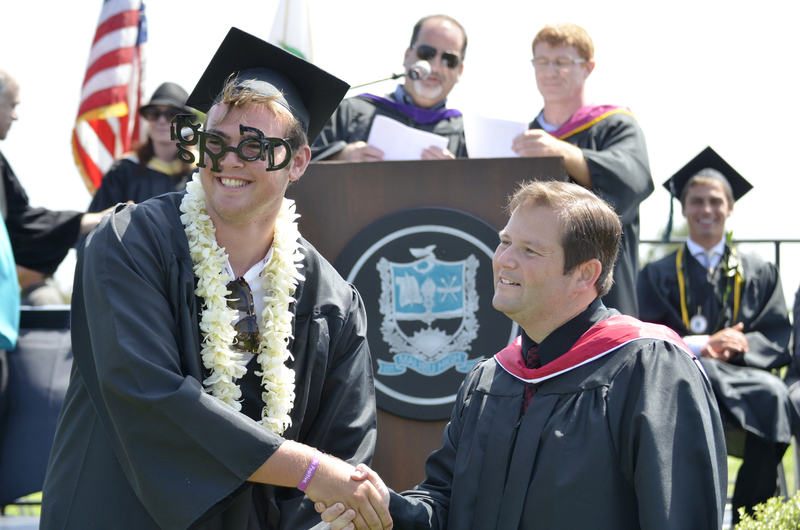 Eric Carrier, who teaches the creative writing class at Malibu High, recited a poem called “Schoolsville” by Billy Collins at the beginning of the event to set the mood for the night. He said he tries to teach his kids to be themselves through their writing. “I tell them at the beginning of the year that they’re all strange people, they have strange ideas and strange thoughts, and to embrace that and celebrate that and to understand that that’s who they are and not hide it, but become a part of who they want to be instead of who we’re telling them they should be,” Carrier said. 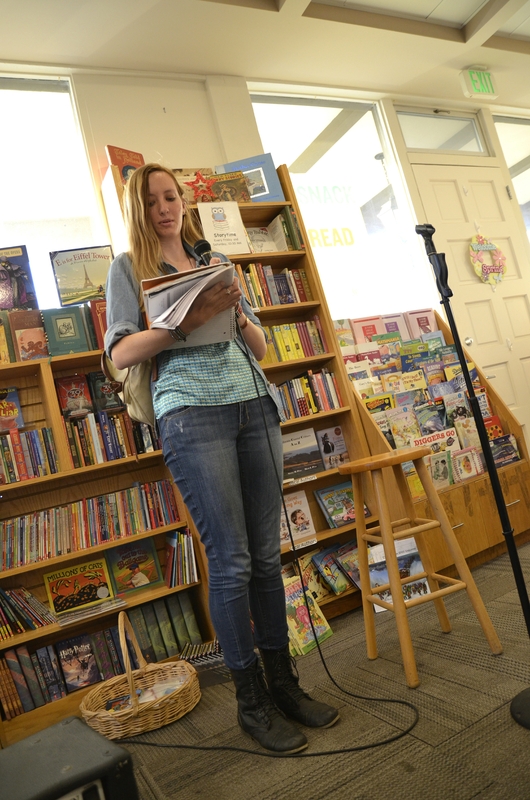 Emma Dangaard recites her poem during the Kids on Coffee event on Thursday, May 29, 2014 inside the Bank of Books bookstore in Malibu, Calif. Mainly an English teacher, Carrier likes being able to tell his budding writers to let go of restrictions in their work. Bellcrowder said Carrier has had a great impact on her development as a writer. Joshi said she likes how Carrier can be constructive about her writing, but also be truthful. 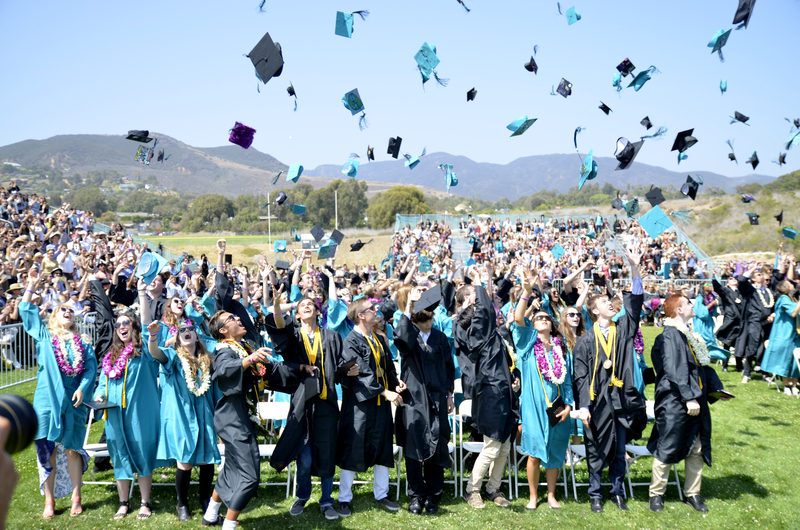 Carrier will no longer be teaching the creative writing class at Malibu High, which left his students reflecting on what he meant to them as a teacher. Reagan Brewster recites her poem during the Kids on Coffee event on Thursday, May 29, 2014 inside the Bank of Books bookstore in Malibu, Calif.
Eilerson said Carrier taught her children when they were in high school, and is proud to hold an event at Bank of Books because of those ties. 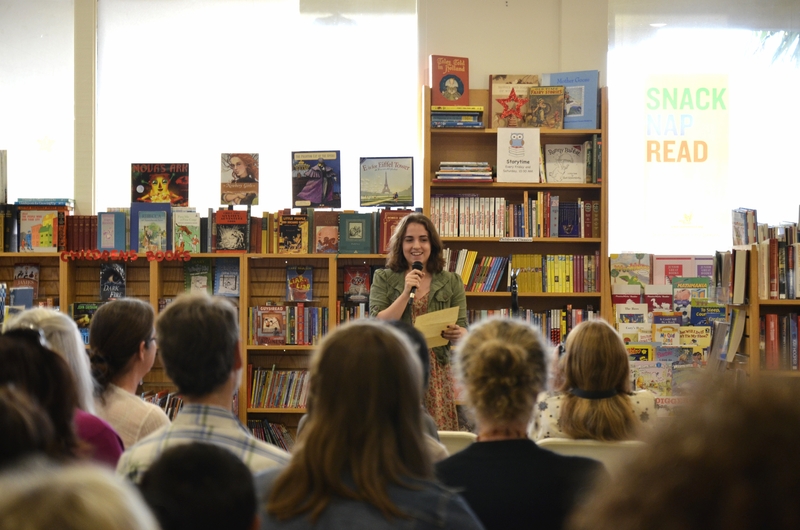 “It’s terrific to hear the students reading their wonderful poetry and it’s terrific to host an event for the school because I still have very strong, positive feelings toward the school,” Eilerson said. Bellcrowder felt that having the event in a bookstore was fitting. “Obviously books are great literature, so it was a just kind of like influence and inspiration around us while we’re reading what we’ve written and it’s like the younger generation surrounded by the older generations that have already done this for years,” Bellcrowder said. Joshi believes the poetry-reading event gives the community a chance to get to know the writers in a different way. 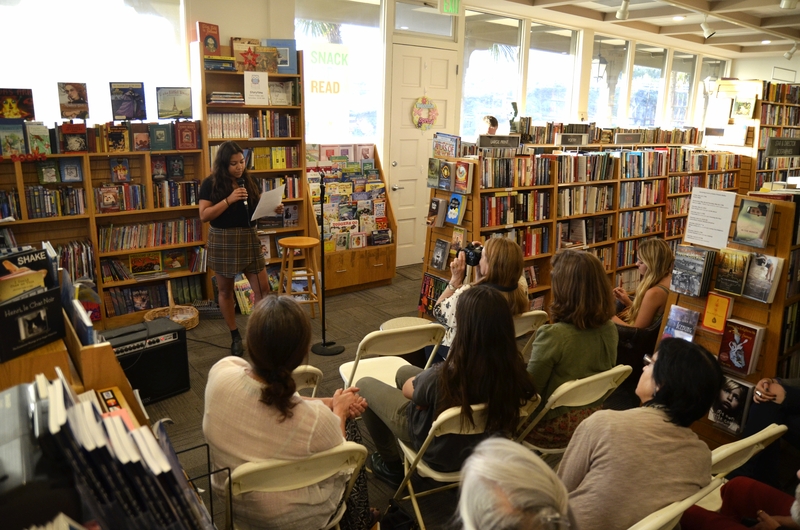 Malibu high school senior Naomi Joshi recites her poem during the Kids on Coffee event on Thursday, May 29, 2014 inside the Bank of Books bookstore in Malibu, Calif.